Editor’s note: The following was written by Ms. Melissa Ware, a resident of Victoria, Australia, to Australia’s popular radio talk-show host, Alan Jones. Melissa and her family have been devastated by Wind Turbine Syndrome, as she describes to Mr. Jones. 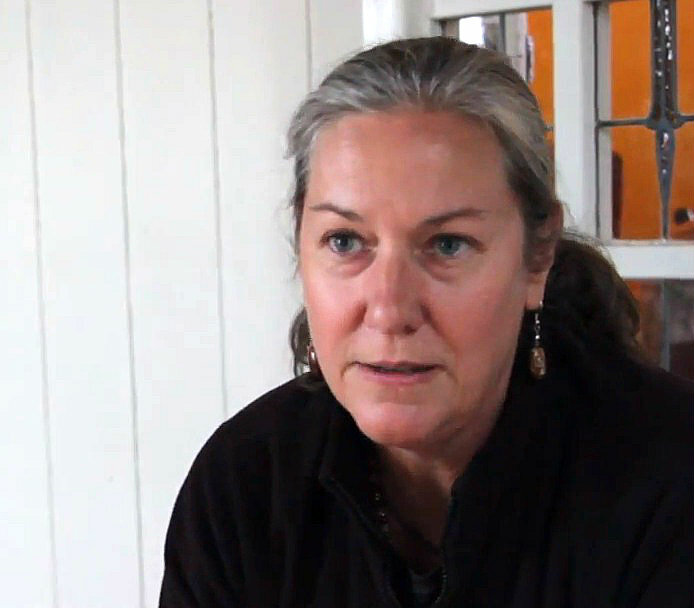 You can listen to an interview of Melissa and her partner, here. Alan Jones is a vigorous critic of the wind energy scam and its health impacts. He is, as well, a champion of the “little guy” against big business and big, brutal, dumb government. Click here for a PDF of her letter. Melissa wrote another, somewhat different letter to the Prime Minister, the Honorable Tony Abbott. Titled “Wind Farm Impacts,” it, too, is worth reading (PDF). I have been meaning to contact you for some time since seeing you host the Canberra Rally last year and listening to your superb radio interviews about ‘wind farms’. I wish to express my gratitude for your wonderful ability to speak so loudly and forcibly on behalf of ordinary Australians being segregated and becoming wind farm refugees, through no fault of our own. Your catch phrase, “why not put them in Macquarie St.?” is bittersweet, as I wouldn’t wish more IWT suffering on anyone. Lack of knowledge and simple trust, faith that everything would be fine were my failing. 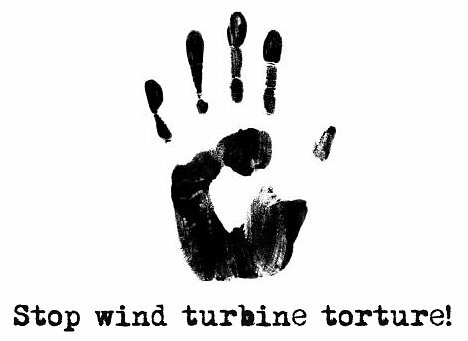 Alas, life living inside a wind facility complex is one of torture that does not end. Noise day and night, night and day for years. With rare respite, we live about 800 metres from an industrial facility with 22 nearby turbines — a noise-induced, and mental, emotional, physical and spiritual nightmare. Unfortunately my sensitivity to my environment, its sounds and energy so precious a skill that aids my bi-lateral hearing impairment, now appears a hindrance with the constant industrial noise and vibration endured inside and outside my home and property here at Cape Bridgewater. Ears and body buffeted, exhausted from the bombardment. At times in desperation I want to flee and never be near or lay eyes on a turbine again. My partner, my eleven year old son, and I each suffer as a direct result of the Cape Bridgewater wind facility. There is no protection, no likelihood of protection for any of us from this noise abuse and industrial intrusion we have been enduring for the past five years. And it is unbearable. Between you and me, I would give anything for the ‘nocebo theory’ to be true, and symptoms resulting directly by being physically violated by this unnatural noise vibration and energy pulsations to not exist — and to be all in my head. Positive thinking is powerful and gets me through each day but cannot, does not, stop infrasound and my solid-stone house vibrating, or our declining health. I live isolated on a rural farm, and fifteen or so years ago could find no relevant information on wind farms using Google. No one from the Department of Health, Department of Planning or EPA local or otherwise has shown any concern or interest in us. There is no management plan to deal with this disaster other than to subject us to minimilisation, dismissal, or be given a colossal run-around. How can it be that workers, businesses etc abide by health and safety laws, established through good practice, undertake management and action plans, follow the law to protect workers and clients, yet our own government fails to follow the rules and is failing in duty of care? Writing letters, sending e-mails hasn’t worked. What will? Quality of home life is unbearable. Yesterday I sent the letter and message below to Mr. Abbott etc. with hope that another small voice of distress may be heard and changes can be made to protect us and so many others about to be subjected to living inside a wind facility. E.P.A just said that the Waterloo Turbines are with in the Guide Lines, and as I asked the C.E.O of the E.P.A what if the guide lines are wrong ? He did get quit upset with me for asking that, and will pass on there findings to the National Health and Medical Research Council, as there job is done and the Turbines are with in the guide lines, that is NOT saying that there is nothing wrong he said, it is one Lie after another, and it will not stop because there is to much money involved $$$$$$$$$$$ the new big GREEN GOD. This is what I been telling people all around the world, ” It’s always about the almighty Dollar $$$$$$$$$$$$.. The fact is ! There is no safe distance for wind Turbines, NOT GREEN, NOT CHEAP, NOT RELIABLE, and come with a very BAD side EFFECT on people and the ENVIRONMENT. there is Nothing GREEN about WIND TURBINES . SAY NO TO WIND TURBINES. Through the courageous actions of Richard Paltridge I am fortunate not to be living close to an Industrial Wind Factory. I have, though, met Melissa, her husband and son. During one of their necessary survival trips away from their home they visited us in ours for a few hours. During the time they were here I sat and listened and watched the pain in Melissa’s eye’s, a pain that cannot be ‘acted out,’ and watched the anguish in her husband’s. I listened to their concerns for their son and his future, the nightmare of living in their historic family home that at one time was a haven of peace and safety. Of their constant attempts to gain assistance from the company and local and state governments. How they had sought a respite that year from the agony for Christmas afternoon from the company, who ultimately refused to turn the turbines off so they could have a safe and peaceful family dinner at their home. That their plight is continuing and being experienced by more and more people around the country and world is appalling. The harm being reported is continually set aside because of some misguided assumption that IWT’s will cut emissions, and provide ‘safe’ energy. Misguided because I am sure many have been advised by those who have an interest in this form of energy production, and that advice is given to ensure the uptake of IWT’s regardless of the damage to the human and natural environment. Advice given from those who don’t care what damage is being done as long as the money keeps rolling in. Melissa her family and all others suffering need our support and assistance to fight this grubby, insane industry. They need our help to get those with the power to stop it, to understand and accept what is happening and act to stop it NOW.